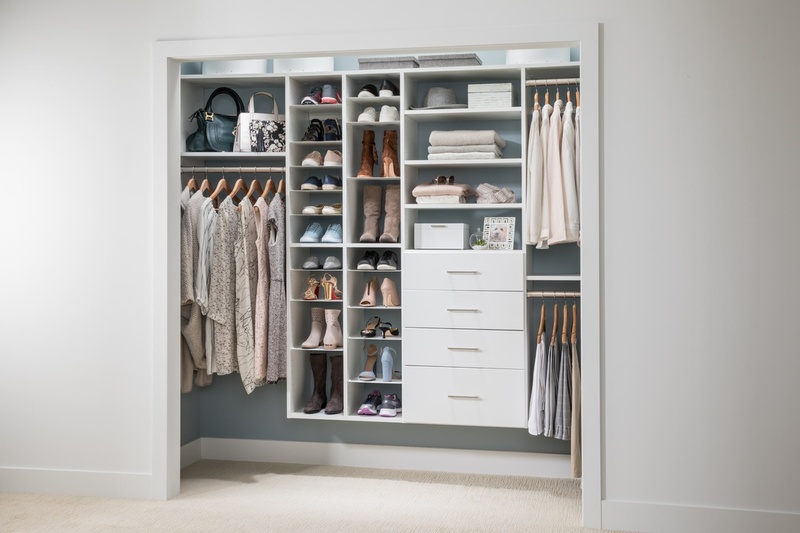 Expand your storage possibilities with hanging rods, drawers, and a two tower Adjustable Shoe Organizer that integrates seamlessly into your custom closet system. The double shoe tower with steel shelves maximizes vertical storage space for shoes and boots in your closet. Shown in White with powder-coated steel shelves, it combines an elegant, open design that keeps all of your shoes visible at once with shelves that adjust up or down to create individual spaces that fit each pair perfectly.